The Channel is a 501 unit mixed-use multi-family apartment building located on The Wharf in the Southwest Waterfront district of Washington, DC. 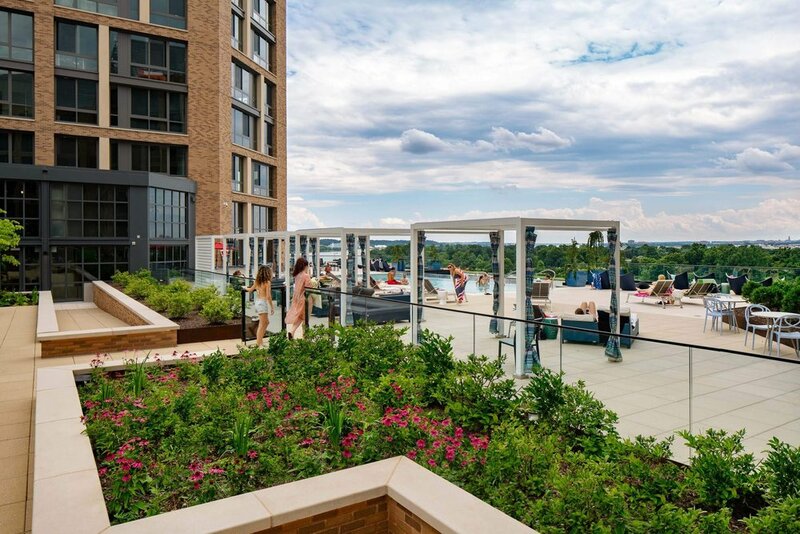 Although the building is best known for housing The Anthem, an exceptional live music venue, it also includes a number of exceptional outdoor amenities for apartment residents. The landscape scope for this LEED-NC Gold project includes a large amenity terrace with a flexible lawn area, bocce courts, a pool deck with cabanas, a community garden, private terraces, a dog run, grilling stations, outdoor living spaces, and a dramatic overlook that provides views over the waterfront below. 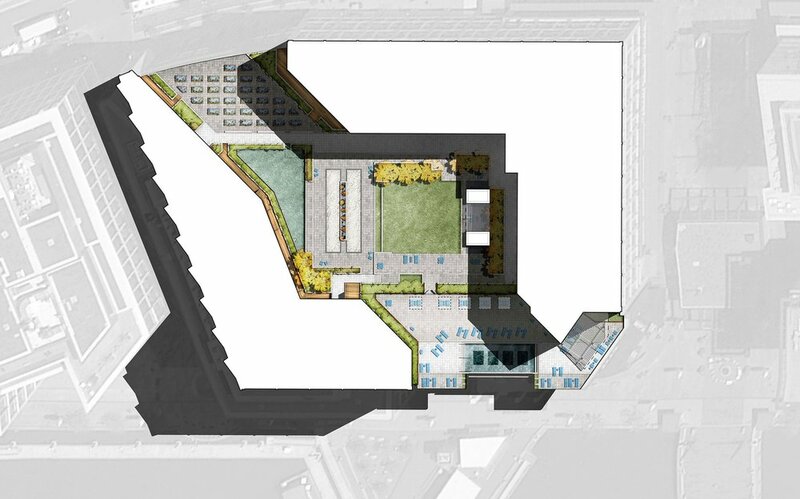 The amenity terrace and the building expression extend the urban gesture of the historic axis and view-corridor associated with Benjamin Banneker Park and L’Enfant Plaza. This urban space is an important city landmark and neighborhood anchor, providing dramatic views to the Potomac River. LAB’s design approach sought to create a diversity of spatial and programmatic opportunities for users while acknowledging this historic axis and maintaining overlook spaces that celebrate the city’s connection to the waterfront. Additionally, the variety of spaces strikes an important balance:providing opportunities for semi-active recreation as well as more informal, passive relaxation activities. Because the terrace landscape is located wholly on structure and above a large music venue, much of LAB’s design work and detailing centered on coordination with structural and architectural teams in order to solve a variety of project challenges.